The world of law enforcement is very different now than it was when I entered it in 2001. In just a relatively few short years, technology has advanced by leaps and bounds, changing the way police officers do just about everything. When I first became a cop, we didn't even have computers available to us to use at our stations, much less in our cars. But technological advancements are changing law enforcement. Now, the unimaginable has not only been imagined but manifested. And there's no slowing down. From drones in the sky to microcomputers in our glasses, technological advancements abound. Here are just a few of the technologies, either already on the street or on the horizon, that will help police make the stuff of science fiction become science fact. Critics decry them as harbingers of an Orwellian police state, a la 1984. Proponents point to the vast potential to solve and prevent crime. Wherever you fall in the argument, the fact is that drones are well on their way to becoming eyes in the sky for law enforcement officials. Boston Police Commissioner William Gross said what he's been most surprised by a month into being the city's top cop is the positive, overwhelming response from Boston residents, particularly its senior citizens. I love them, the city's first black commissioner said of the older Bostonians. Seniors have no filter, so when they tell you that, "Hey, you're doing a good job", and, "BPD is doing a good job", I really appreciate that. 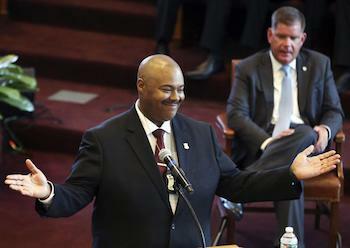 Gross, 54, was sworn in as the department's 42nd police commissioner on Aug. 6, and, speaking with Boston.com a month later, he said is thankful for the opportunity and appointment from Mayor Marty Walsh. You can finish reading the article here. Police officers face a level of on-the-job stress that most of us cannot even fathom. 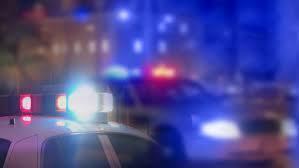 From altercations with dangerous criminals to interactions with women or children who have been harmed in domestic disputes, they see it all. According to a Ruderman Family Foundation study published in April, police officer deaths by suicide were triple the number of officers being fatally shot in 2017. The report revealed that officers are much more likely to die by suicide than any other line-of-duty cause. We need to support law enforcement officers fully when it comes to their mental health just as we do their physical health. Thankfully, police Commissioner William G. Gross is doing just that. The Boston Police Peer Support Unit and Critical Incident Team has proven to be a valuable resource to many officers from many agencies in addition to our own so if you or anyone you know needs assistance take advantage of this resource. You can call 617-343-5175 during business hours or our 7 day a week 24 hour a day hot-line which is 617-594-9091 and remain confidential. You don�t have to tell us your name and you may ask any questions that you want in order to feel comfortable in coming forward or we can give you references to other resources. You can also call about another employee, who may not have seen emails regarding services, that you are concerned about and we will make a subtle attempt to offer them services. The Boston Police Peer Support Unit has joined with the American Foundation for Suicide Prevention to create the Boston Peer Support Quiz. this is a safe, easy way to learn whether stress and depression might be affecting you. Using this service is completely voluntary and confidential. 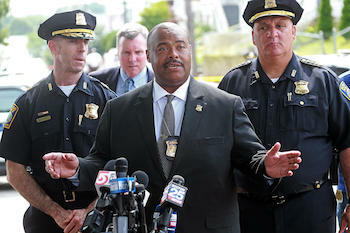 No information will be shared with the Boston Police Department. This is not an emergency response system. If you are in crisis or contemplating suicide, please call an on-call Peer Counselor immediately at 617-594-9091 or dial 911. Blue Line Financial LLC - Prepare for the Road Ahead. As with most other things in life, the key to achieving your long-term financial objectives is planning. Your goal may be to fund your children�s college education, protect your family during your working years, or guarantee your own retirement security. These things won�t happen by accident. It�s important to determine what you�d like to achieve financially and then map out a strategy that will help you meet those goals. The good news is that it�s never too late to start. Please use our Web site as a resource, and do not hesitate to contact us for additional information or to schedule a meeting.